Merry Bruns is a nationally recognized content strategist and leading Web Writing trainer who focuses on customer-centered content, Plain Language training and strategic web writing and editing skills. Merry has taught her internationally recognized "Writing and Editing for the Web" classes to hundreds of students worldwide since 1997. She holds open classes at the National Press Club in Washington DC, and provides in-house training to organizations and businesses, customized around their content and goals. Producing and editing web sites since 1994, she brings a background in communications, media and journalism to her work. 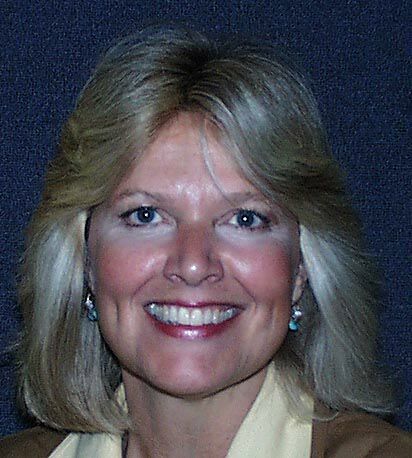 As principal of ScienceSites Communications (http://www.sciencesitescom.com), she has produced, and edited sites for numerous business, government, educational, and science organization clients. Her clients for content strategy and training have included Accenture, National Academy of Sciences, BBC London, Porter-Novelli, Centers for Disease Control (CDC), Towers-Perrin, Westat, First Coast Service Options, American Chemical Society, the World Bank, American Red Cross, NASA/Goddard Space Flight Center, Georgetown University, American Petroleum Institute, Textron, EPA, Jackson Laboratories, Seton Hall University, Harvard Medical School, and many more. She's frequently published and often interviewed about content strategy and web writing issues, and has been an invited speaker and trainer at web conferences, meetings and events nationwide. Originally from New York City, she now lives in Washington DC. My work as a Web Content Strategist and Web Writing trainer stems from my background in communications and journalism, as well as my 22+ years working with web (and gopher!) sites. I was a web producer from 1994-98, then moved strongly into content strategy and web writing training, combining my editing, writing and project management background. My background lets me create a bridge between any organizations' traditional content and its application on the web, and my training classes give students the skills to apply it. I currently hold open web writing classes at the National Press Club, and provide customized, in-house staff training to organizations, associations, government and academia. I've been teaching writing and editing for the web since 1997, and have taught thousands of students internationally, and at Georgetown University. As principal of ScienceSites Communications, I developed content strategy for numerous business, health, science, government, association and education clients in the 2000's. My clients have included Accenture, National Academy of Sciences, Porter-Novelli, the BBC, EPA, Centers for Disease Control (CDC), Towers-Perrin, The World Bank, EPA, American Chemical Society, Harvard Medical School, International Monetary Fund and many more. I've given extensive interviews on web writing issues, and frequently speak on content-related topics at professional events. I can craft talks on any content-related subject you need. I sponsored "Content & Coffee" (from 1997-2010), a well-known networking and panelist event for online editors, writers, content managers, etc., held at the National Press Club in Washington DC. Panel topics included current online communication issues ranging from web writing, journalism and online editorial technology, to s social media, "Web 2.0", and content-related jobs in an emergiing technology. "Content & Coffee" featured panelists who are professionals in these areas. held at the National Press Club, Washington, DC. Book In-house web writing and editing training for your staff. Contact me about content strategy consulting for your site's content. Come to my"Content & Coffee" networking and discussion event for online editors and writers. "Just a note to thank you for the class. As you noted, we are all pioneers. In some ways, we cannot help it, given the emerging technology. You, however, are not only a trail blazer but also one who marks trails and then writes a book and publishes a map — all to make it easier for those who come.... well, right behind you, we hope."